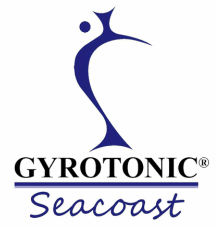 ​​Juliu Horvath is the creator and founder of the GYROTONIC EXPANSION SYSTEM®. He was born and raised in Romania but is of Hungarian ancestry. As a child he was physically gifted, studying gymnastics, swimming and ballet. After dancing principal roles with the Romanian State Opera Ballet, Juliu defected in 1970 while on tour in Italy, where he spent six months in a refugee camp. He was then granted political asylum by the United States. He moved to New York City, was hired by the New York City Opera, Radio City Music Hall and toured with ballet icons Margot Fonteyn and Jacques d’Amboise. He joined the Houston Ballet as a principle dancer, but during his first year, his dance career ended when he ruptured his Achilles tendon and damaged several disks in his back. Following these career-ending injuries, Juliu moved to St. Thomas in the Virgin Islands to heal, and to contemplate his future. It was there he began an extensive four year contemplation of his health that included yoga, meditation and dance, creating his own choreography and teaching ballet. While in the Virgin Islands, Juliu also developed his own acupuncture system. It was out of these experiences that he completely healed his Achilles tendon and back injuries and developed an exercise system that was the beginning of GYROKINESIS® movement. Juliu returned to NYC and began teaching ‘Yoga for Dancers’ to a small group of dedicated followers. As a result of his early teaching in New York, he realized that very few students had the self-understanding and technique to execute the exercises successfully. They needed more support and guidance. So Juliu began developing equipment that would give the body traction, support and resistance in order to be able to perform the exercises correctly. He called the equipment, and exercises using the equipment, the Gyrotonic Expansion System, the GYROTONIC® method for short. He renamed ‘Yoga for Dancers’, the GYROKINESIS® method.